foundation. Dave’s wife, Carol Spongberg, is a retired kindergarten/1 st grade teacher. Service as a Patrol Ranger hiking the trails around Paulina Lake. summer they kayak the beautiful lakes and hike the trails. In the winter they snowshoe. Dave has two sons. One lives in Portland and the other in Sedro-Woolley Washington. Patty currently works as a registered nurse at St. Charles Medical Center in Bend. However this wasn’t her first career. She spent 15 years as an accountant before becoming a nurse. Her accounting career began as an auditor with Price Waterhouse in St. Louis for six years, followed by senior accounting positions with a medical device company and a pharmaceutical company in San Diego. During her years in San Diego, Patty had the opportunity to serve as a helping hand on several international medical mission trips to indigent countries. Those experiences ultimately led to her career change into nursing in 2005. 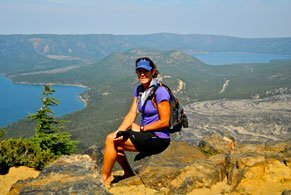 Patty moved to Bend in 2006, desiring to be closer to the mountains and further from the stresses of big city life. She quickly fell in love with the city, the outdoors, and the lifestyle. However, the love affair was short-lived when she was invited to serve with a ministry in Cambodia in 2008. She became the administrator over a home for 40 orphaned children, and before she knew it four years had passed. In 2012, she made a difficult decision to return to Bend to resume her nursing career. Patty is a graduate of the 2014 Search and Rescue Academy class and currently serves on the SAR medical team. She was elected Treasurer for the SAR Foundation Board in 2015 and feels honored to be serving with such extraordinary, committed, and talented individuals associated with Deschutes County Search and Rescue. A self-professed “trail junkie,” Patty spends as much time as she can out on the trails, mountain biking, fat biking, running, and hiking. Rachel is passionate about outdoor recreation—especially swimming, paddle boarding, and kayaking. She loves to travel and to be at home in Bend. Her favorite things to do include spending time with her best friend and husband, practicing and teaching mindfulness and yoga, exploring beautiful and functional design, and investigating the joys of living with less. Karen grew up in the Willamette Valley. She attended Southern Oregon University and received a BS in Criminology. After a short career in Juvenile Corrections, she pursued her real passion and started her career in the ski industry. Karen held the position of Sales and Marketing Manager at Mt. Hood Meadows Ski Resort for 21 years. Karen has a strong background in marketing, sales, business management, networking, and special events. Her career also involved tracking and analyzing marketing and sales trends. She enjoyed managing, training and supporting approximately 250 volunteers per ski season that made up the Meadows Adviser Network. 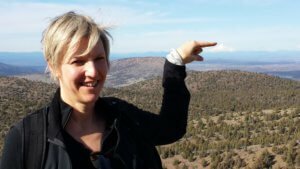 Throughout her career she was also involved with many fundraisers such as the Oregon Cancer Ski Out and the Jimmie Heuga Vertical Express for MS.
Karen recently retired to Bend to enjoy the great outdoors. Her activities include water skiing, boating, mountain biking, hiking and her favorite, alpine skiing. Originally from North Carolina, Ashley has lived in Bend for the last 2.5 years. 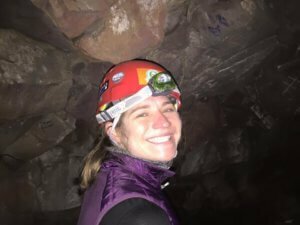 She moved out to the Pacific Northwest to pursue a master’s degree in science education from the University of Washington, completing a graduate residency in environmental education at Islandwood where she educated student groups on sustainability and the natural ecology of the Pacific Northwest. Since finishing grad school, she has worked in the environmental industry and is currently the Northwest District Technical Manager for Regenesis. Ashley works directly with environmental consulting, construction and engineering firms throughout the Northwestern United States and Western Canada to develop successful remedial approaches for their clients. Ashley is a graduate of the 2016 Search and Rescue Academy class and currently serves on the medical, MRU, and snowmobile teams. She joined the SAR Foundation in 2017 as a Special Resource, due to her leading the Recruiting effort for the 2018 Academy. When Ashley is not volunteering for SAR and OAS, she can usually be found playing outside with her 9 year lab/Weimaraner mix named Kaia. Ed is a graduate of the 2016 SAR Academy and currently an active SAR volunteer, serving on the Mountain Rescue teams. Ed has a BA in Film from the University of California at Santa Barbara and worked in the film industry in Los Angeles with his wife for a number of years. He moved to Bend in order to find more balance in his life and currently owns his own construction company – PGC Building + Design – which has been in business for 11 years. Ed has previous experience working with non-profits and has volunteered to take a position on the Foundation Board and to manage the Foundation’s social media platforms. George spent 37 years working for the Bechtel Corporation, one of the world’s largest engineering-construction companies in the world. He has lived and managed major construction projects all over the world – from Alaska to San Francisco, China, Hong Kong, London and throughout the Mideast. He retired from Bechtel in 2007 as a senior executive responsible for its global procurement operations. Following a brief retirement, he worked as a senior executive with Schnitzer Steel Industries responsible for operations at over 100 sites throughout the U.S., Canada and Puerto Rico. He retired full-time in late 2012 – joining the Deschutes County Search and Rescue in early 2013. He is on the Search and Rescue Administrative and Executive Committees and was elected President of the SAR Foundation in January 2014. Having had a vacation home in Sunriver since 1998, George and his wife Joy chose Bend as a permanent residence for the many opportunities that central Oregon has to offer – they love the outdoors and enjoy hiking, biking, kayaking and snow-shoeing. They found that the Deschutes County Search and Rescue was a way to combine a love of the outdoors with an opportunity to give back to the community they live in. Mark has lived in Central Oregon for over 39 years and brings a vast array of skills and experiences to the Foundation. He holds a MS in Organic Chemistry from the University of Oregon and was the first scientist hired by Bend Research (polymer chemist) and helped turn out 7 patents and 19 publications. Following that tenure, he was a consulting scientist for Entek International in the capacity of expanding markets for novel microporous fiber membranes. Further leveraging his experience in chemical research, Mark developed the channel partner sales network in Asia Pacific for Fault Gas Analyzers originally manufactured in Bend by Micromonitors. Mark assisted on the management team that grew Serveron Corporation from the Micromonitors roots with the infusion of venture capital funding. The markets he developed with China State Power on the mainland, Malaysia Power Grid, Korean Electric Power in South Korea and Taipower in Taiwan are sustaining the growth of that Company. 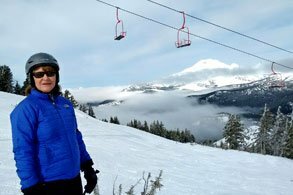 While living in Bend Mark was a member of the National Ski Patrol (NSP) and racked up 27 years of experience, serving as the Patrol Director, Patrol Avalanche Advisor, Oregon Region S&T Instructor/Trainer, Outdoor Emergency Care Instructor, and Level II Avalanche Instructor. He and his wife Jody were both awarded the National Appointment, the highest recognition by the NSP for their years of service to that non-profit rescue organization. In addition to working with the SAR Tracking and IMT Teams, his focus is on developing robotic sensor platforms to assist in SAR rescue missions. 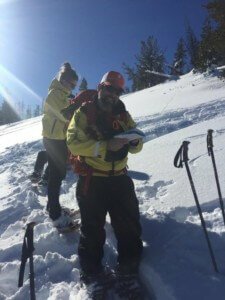 His interest in joining the SAR Board was to continue to exercise his fundraising skills and help the Foundation bring long-term grant-funded support to the Deschutes SAR volunteers and the community. 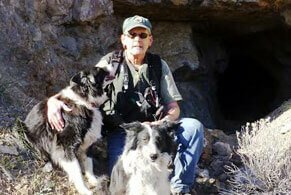 In his free time Mark enjoys spending time with his wife Jody, their 2 Border Collies (Bailey and BellaBella), as well as geocaching, mountain biking, canoeing, trailer camping with their canine family in the family rPOD. Ed WeiserSAR Volunteer, Special Resource - Community Outreach. Ed and his wife Claire, their middle daughter Jillian, and her husband all moved to Bend in 2013 to live near each other and take advantage of everything this area has to offer. Two grandsons were born here in 2013 and 2015. Ed retired in 2014 after a 35-year career in business and technology leadership positions with Jewel/Osco, Lucky, American Stores, Albertson’s, ShopKo, and Motorola. Prior to that, he was a sailing instructor and wilderness guide in Maine. 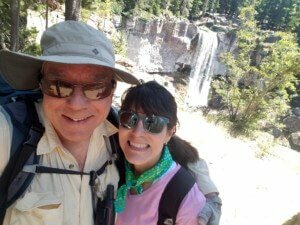 Ed was able to continue his outdoor trips over the years, first with Claire in the northern mid-west, then with their 3 daughters in the mountains and on the rivers of Utah. More recently, Ed has led trips for friends and family in Utah, Wyoming, and Oregon. 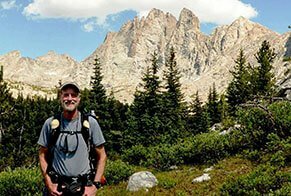 After moving here, he re-discovered his love of solo backpacking, and is focusing on exploring the Wallowa Mountains one week at a time. Ed had always wanted to join a busy Search and Rescue organization, but his business travel schedule and family commitments made that impractical until his retirement. He graduated from the 2015 DCSAR Academy and currently serves on the Ground, Medical, and Air Operations teams. In late 2015, he joined the Foundation board as a Special Resource for our Speakers Bureau program. Ed is Vice-Chairperson of the Central Oregon SCORE chapter and provides free mentoring and advising to local start-ups and small companies. 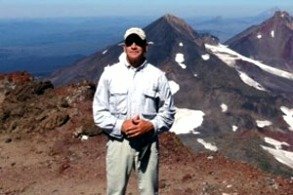 He also volunteers as an Interpretive Ranger for Deschutes National Forest. In his spare time, Ed likes to run, ski, bike, fish, and hang out with his grandsons. Raised in Los Angeles, Maryann earned a Masters Degree in nursing from UCLA and spent her career working in various specialties including pediatrics, neo natal intensive care, and public school nursing. Maryann retired from nursing in 2007 to spend more time exploring the outdoors in Central Oregon and pursuing her passion for riding and caring for her two horses. She lived in Sisters from 2006 until 2012 when she married her husband Doug and they temporarily moved to Seattle where they lived for three years. Now that they are back in Central Oregon, Doug has joined Deschutes County SAR and Maryann enjoys serving the SAR Foundation. 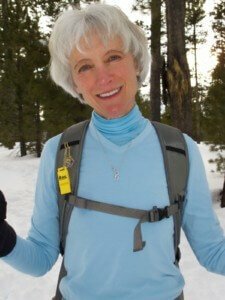 Maryann was a Deschutes County SAR member from 2010 to 2012. After 50 years in Alaska, Carol came to Bend as part of a long-time dream. A semi-retired wildlife/fisheries biologist who has worked from the Arctic to the tropics, she is an environmental consultant in Alaska. 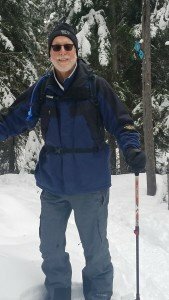 Having been both an alpine and Nordic back country ski patroller, she brings over 40 years experience in SAR and has been a K9 handler since 1995. 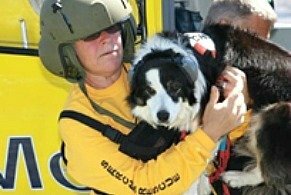 She is now handled by a Border Collie named Meg who is trained in avalanche, wilderness, urban disaster and human remains search. Carol is the DCSAR-K9 team Coordinator and welcomes new trainees. Skiing, snowshoeing, ocean kayaking, and gardening are current favorite activities. She recently discovered fat tire biking. Fish used to fear her, now they just cast a side glance. But she always aspires to land the big one, be it marlin, peacock bass, salmon or humble trout. Among her many exploits are former garbage truck driver, coffee roaster, ski lift attendant, helicopter foreman, commercial salmon fisher, dog trainer, Peace Corps Volunteer, Girl Scout Leader, and Master Gardener. She has studied coral reef fishes, bears, elk, beavers, and salmon. Trekked throughout South America and Bhutan. Driven dump trucks and dozers, kayaked Alaska’s coastal waters, walked the Camino Santiago across both Spain and Portugal. The best adventure is the next one. Carol assists the SAR Foundation with grant writing and fundraising. She serves with the Ground SAR Team and is training in Logistics Management.